Help prevent your saddlebags from chafing on the rear tyre and shocks by fitting these pannier support brackets to your Bonneville/T100/Thruxton. 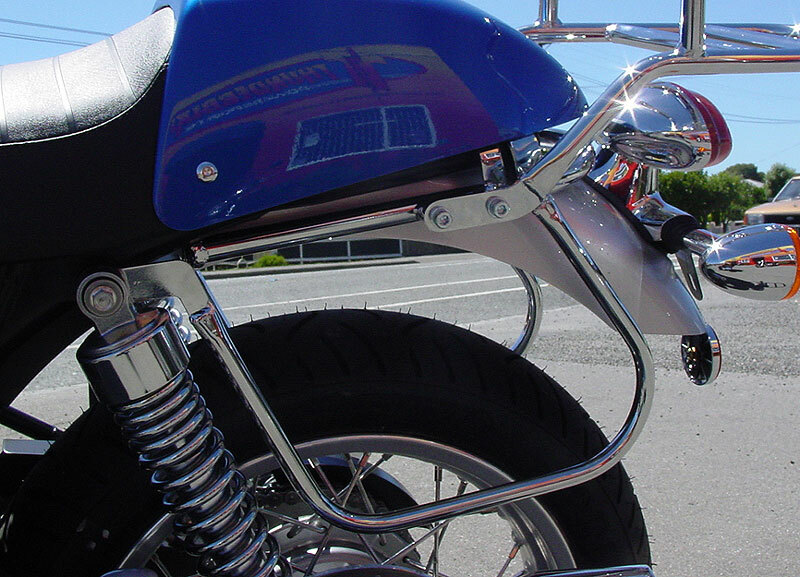 These feature laser cut bracketry and bigger than usual 5/8" tubing that suits the look of the bike, available in chrome for a shiny neat finish or black powder coat to match your paint job. Easily fitted, use existing mounting points, no drilling involved. Fitting instructions and mounting hardware supplied. Improve safety - prevent saddlebags from chafing on the rear tyre. Remember the price below includes shipping to wherever you are in the world!